There are a lot of answers out there for how to remove chewing gum from your carpet. Gum removal remedies range from peanut butter, to hair spray to ice cubes. In my experience, NONE of them work very well. However, don't worry, gum is never permanently bonded to your carpet. So what is my professional secret for how to remove chewing gum from carpet in Boulder, CO? The best way to get gum to release from carpet fibers is to use a citrus solvent to break the gum's materials down. 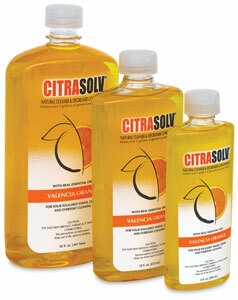 Citrus solvent is widely available and safe to use. Carefully apply a few drops of citrus solvent to gum. Be careful, don't use too much. Do not saturate the carpet fibers with it. Apply only to the top of gum, as you could damage the latex holding your carpet together. Use just enough to coat the gum but not soak the carpet. Let that dwell for 5 minutes. Scrape gum with a dull knife spoon or plastic scraper. This will dislodge the gum and it will fall apart in sticky pieces. Vacuum or pick these sticky particles up. Then you'll need to wet extract the spot to remove the solvent. If you don't have an extractor, spay the area with clear water/white vinegar solution and blot with a rag. Be generous with water and blotting. Do this several times. If you don't get the citrus solvent completely out of your carpet, it will attract dirt and then you'll have another spot there in a couple of weeks! There is NO better way to remove gum from carpet than this procedure. It will always get gum out and citrus solvent is completely safe to use. And won't you be happy and relieved that you no longer have that unsightly wad of gum stuck to your carpet?! If you have any questions about my professional secret for how to remove chewing gum from carpet in Boulder, CO, give us a call at 303-530-0646.